The Putter Wheel Golf Trainer is a two-in-one training system that helps golfers consistently hit putts straight. 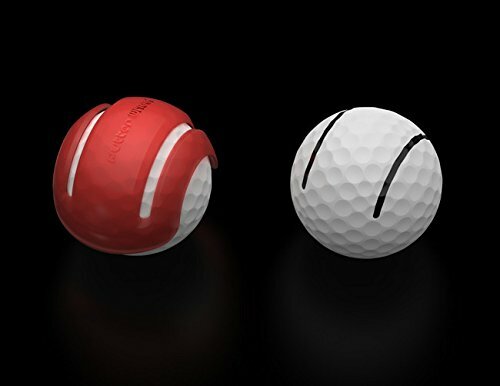 The primary putting aid resembles a golf ball that has had two sides cut off. 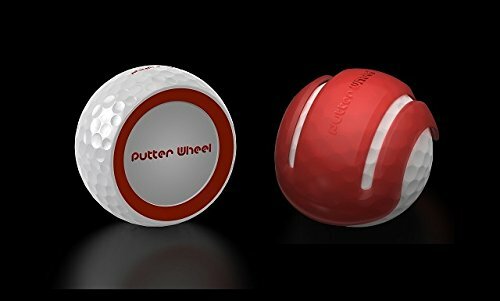 The “putter wheel” replicates the weight and feel of hitting a golf ball to give a true sense of contact and roll. When practicing, improper putts will cause the training aid to move off of the intended line. 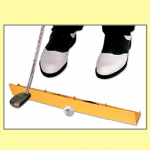 At impact a golfer’s putter needs to be square to the target line without imparting excessive side spin. 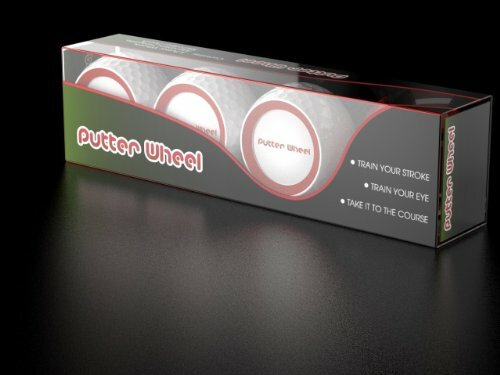 Due to its engineered design the wheel gives immediate feedback on your putting contact and stroke. The wheel will not roll straight if impact isn’t proper; instead it will wobble and move off line. 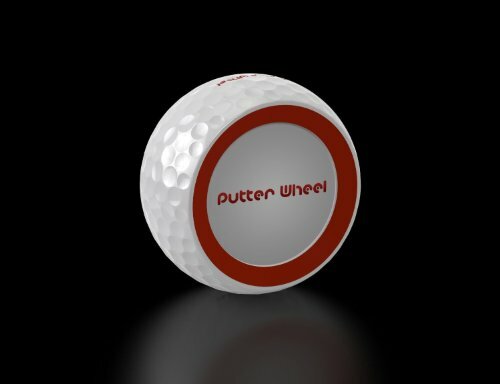 In fact, the putter wheel “amplifies” improper putting strokes. Through practice, golfers will learn a proper putting stroke and how to keep the putter face squared for impact to roll putts in a correct manner. An additional aspect of the putter wheel is that it helps golfers practice setting their eyes directly over the golf ball. The wheel is designed with red circles on its sides. 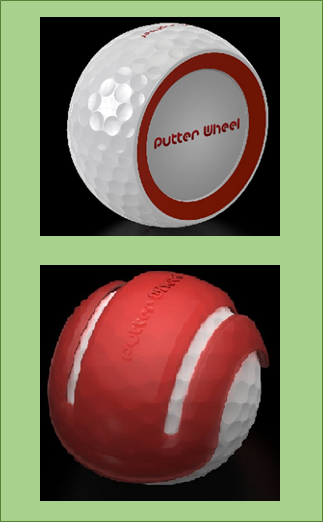 If a golfer is standing over the putter wheel and is able to see either the near or far side red “sidewalls” then he knows that the position of his eyes is not directly over the ball. 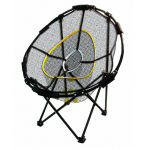 These sidewalls give immediate and effective feedback for golfers to practice a correct set up position over the ball. If a golfer sees the sidewalls he is standing too close or too far from the ball. 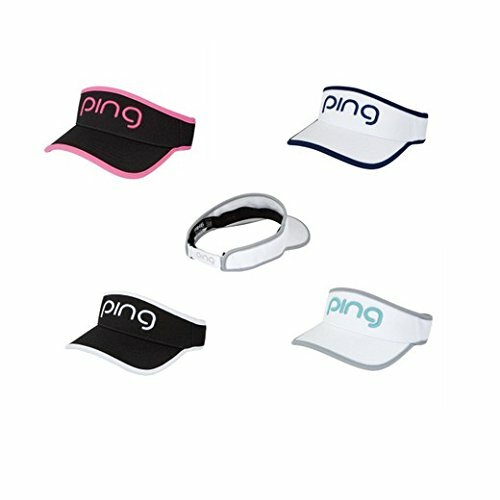 The second putting aid is a “2 line alignment template” which golfers can snap onto their golf balls to draw two parallel lines to replicate the aiming experience of the putter wheel. After a golfer has practiced with the putter wheel on the practice green he can easily transition what has been hardwired through practice onto the course. The lines drawn on a “live” ball are the same width apart as the edges of the wheel and will give a golfer the same sense of alignment that he will experience while practicing with the putter wheel.